Although Matcha Green Tea has been around for well over 800 years, it is only now beginning to be recognized within the health community as a superfood that surpasses virtually every other anti-oxidant superfood today. Matcha's roots go back to ancient China when it was used medicinally. However, as Matcha came to the mainland of Japan over 800 years ago, it grew into a traditional ceremonial beverage loved and revered by the Japanese. Gradually an awareness is dawning, but it has been slow coming, after all - how good can drinking green tea really be? But Matcha is no "ordinary" green tea. It is the "Ceremonial" tea of the ancients. 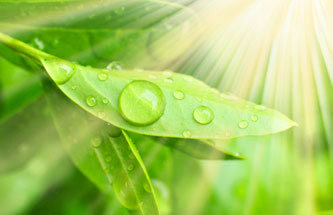 Worldwide research points to green tea's antioxidant polyphenols for its potent beneficial properties. Epigallo-catechin gallate (EGCG: also an antibiotic) is the most prominent of these. Together with tannins and flavonoids they are collectively called 'catechins' and account for about 40% of its dry weight. Researchers at the U niversity of Kansas found antioxidant levels of matcha green tea 100 times more effective than vitamin C and 25 times better than vitamin E.
Green tea contains more beneficial astringent tannins than other tea. These are preserved through the steaming of the leaves and keeping them green. Researchers tell us the caffeine activates the tannins, while the tannins counter balance the caffeine. Recently they discovered that L-theanine, a nonessential, non-protein amino acid naturally present in the green tea bush (Camellia Sinensis:" and the main compound responsible for the unique flavor of green tea, enhances learning ability, induces relaxation and inhibits caffeine stimulation.